Liverpool Tree Surgeons Services are reliable local Tree Surgeons that specialise in Tree Removal and Tree Cutting services. Click here to call Liverpool Tree Surgeons Service. ​How to book a dependable, affordable Tree Cutting Service in Liverpool in a few minutes. Trees are a vibrant part of our environment, and we, the professionals at Liverpool Tree Felling Service, know that only too well. We take tree removal seriously, and we strongly advise it should only be handled by tree care experts. 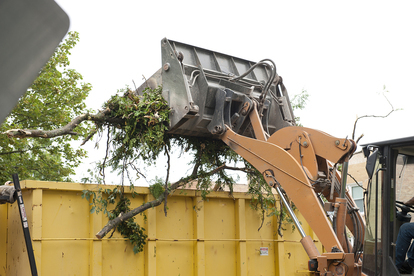 What should you expect from our Tree Removal Services? 1. Pay Attention to the rules. There is a multitude of factors that come into play when it comes to removing a tree in the Liverpool area, and we make sure that we pay attention to all of them. We always work quickly, safely, and effectively. • Tree roots are interfering with foundations, retaining walls and pools, etc. In all of the above cases, we suggest that the tree is removed as soon as possible. If there’s any doubt whatsoever, we will carry out a tree risk assessment to determine the exact risk that the tree poses to your property. When removing your tree, every standard that is set by the International Society of Arboriculture will be met to ensure a safe and efficient removal. There is no tree too big or too small for our services as we treat them all with the same respect. If a tree risk assessment has determined that the tree must go, Liverpool Tree Service will take care of the rest at an affordable tree removal cost. Less Risk of Damage - If not done correctly, removing a tree can cause a great deal of damage to your property and garden. However by using a crane, we can lift it up and out in one clean and easy move. Less Clean Up - Using a crane allows us to remove the tree in fewer pieces, and quite often all in one piece, which leaves for much less of a clean-up operation after. Affordable - Because a crane takes far less time to remove a tree, it’s much more cost- effective believe it or not. 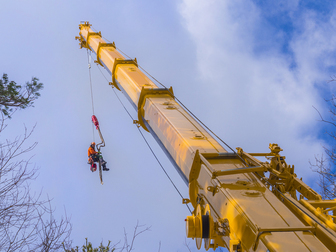 Fallen Tree Removal - If a any time a tree falls onto a building, such as during a storm, using a crane to remove the tree is by far the safest method. 4. Fully Trained Professionals. We employ only the best tree care professionals make sure that they are fully trained. We’re also a fully insured and licensed Tree Removal Company. This allows us to use all of our special equipment needed to take care of all of your tree removal needs. 5. Safety Comes First. We ensure safety first, so you know that your home and your garden will be well taken care of by us while we remove your tree. We are also trained in the proper use of ropes, harnesses, cranes and other large pieces of equipment.